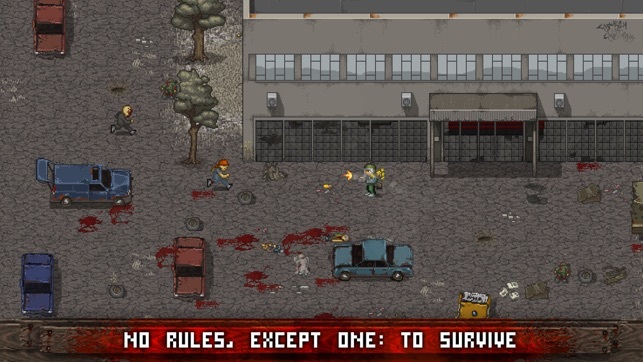 How long can you survive in a post-apocalyptic world? 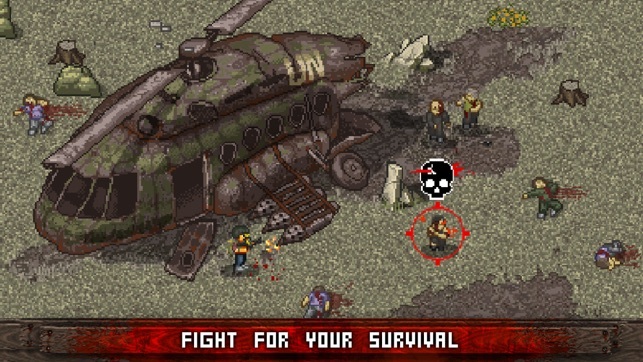 Find out in Mini DAYZ now - an official pixel art rendition of the massively successful PC survival game - played by over 3 million fans. • New items and gear: soviet vest, claymore, Long range scope, ammo 9x18, ammo 9x39. 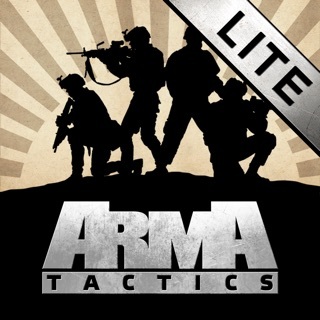 • New game mode selection in main menu, without codes now. 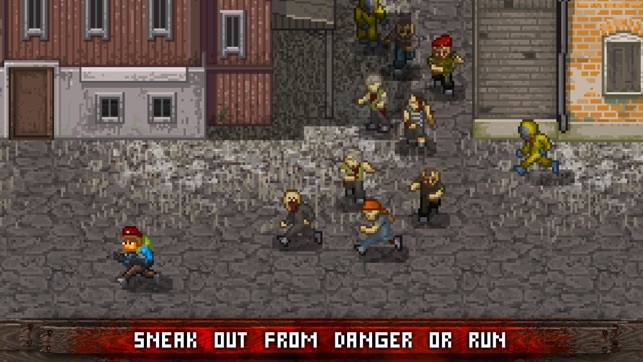 • New game mode Breach: Player need to hold small area as long as possible from infected attacks. • New game mode Casual: after death player will spawn in same run again on coast. • Bandit groups now appear only starting from 2nd island. • Military bases now split in two types: NATO and EAST. • New secret location with Madsen machinegun. 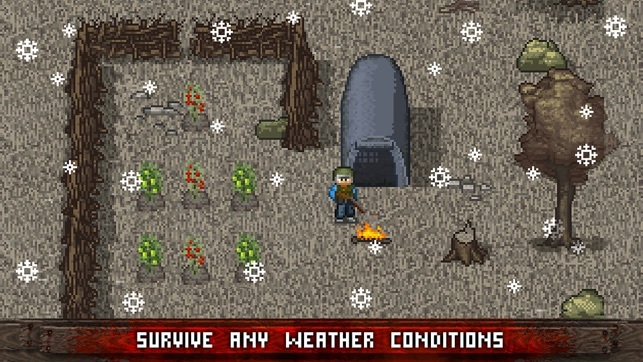 • Fixed issue with too much zombie near tent. I love this game. I can never get enough, though it drains my entire battery in 45 minutes. I don’t have anything negative to say and positivity would sound generic and bot-like, so I’ve come up with a wishlist. 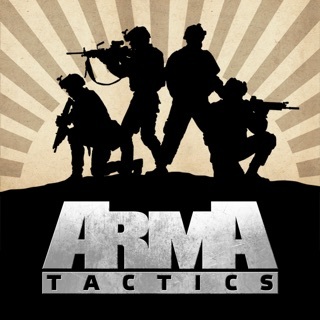 1) MULTIPLAYER- I feel the ability to be running around and just finding and teaming up with another player would be awesome, especially for those harder difficulties like veteran. There could be a little chat option where the player can type to team up or just… chat. 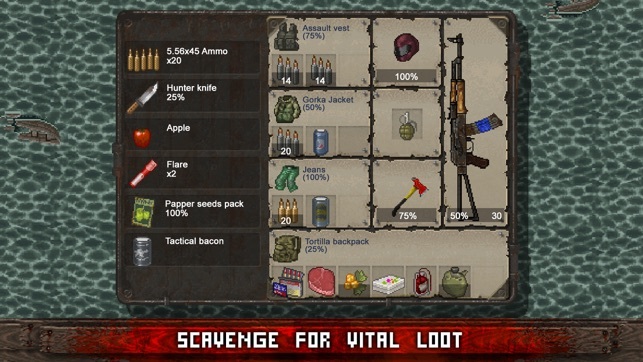 2)SPECIFIC ISLAND GUIDES- When I start a game, I usually go around looting every town on the first island to get the best gear before I hit up island 2, which usually leaves me with 0 exploration or knowledge of island 2, and I end up dying because of walking into something I shouldn’t have. I think it’d be great to have island specific guides that could tell you basically what the different symbols mean, what new zombie types you’ll be facing, and so on. I just think that this would help people who are newer to the game or just don’t have much experience outside island 1 to get a better hold of the game and allow for better decision making. If you seriously read all that devs, I love you and I thank you sincerely for your time. You don’t have to follow my suggestions, I’ll still love the game anyways. Unless you make it harder. At which point there won’t be a point. Thank you for your time. This latest update, welcome and needed, thank you, has us combating random behemoths on the first island when you are very likely going to run into them (I ran into two in the first 10 minutes) wearing jeans and a T-shirt with a colt that you’ve probably used at least half the ammo. I play the survivor with the gun and “radar” perk, and 14 rounds on 45acp, at 3-4 rounds per zombie to kill it, isn’t a huge advantage. I decided to try pulling the regular difficulty to get the guns unlocked first. After at least a dozen games, none longer than 90 minutes, I unlocked the mac10 and the shotgun, (as yet to actually find one, though). Switched to Veteran to try unlocking the new characters, but the closest I have ever come to that was 2 completed tasks (a behemoth killed me before I picked up the reward). Way too hard to play. My wish list? I would like to see the islands difficulty ratings adjusted. I like the zoom out on it, but can you give us the ability to set our own screen resolution, and the joystick is practically near the middle of the screen, can we move it back to the corner? I play on an iPad Pro, so it’s a strain to hold the iPad and stretch my thumb all the way over there, very uncomfortable. As to the rest, we’ll keep playing as long as you keep providing us with this wonderful game, and you’ve done a GREAT job with fixes and content so far. Brilliant job.